Sheroes of History is a women’s history blog which shines a spotlight on amazing heroines of the past! From women whose names you may have heard, to those whose stories are less well known, find out about these amazing Sheroes of history. History has overwhelmingly been written by men, about men. There are a handful of amazing women from history we have heard of, but there are so many more whose inspiring stories have gone untold. I believe that young girls (and boys!) need more female role models to look up to: Sheroes who will show them that they can be whatever they want to be; that they can change the world; that their actions can make a difference and that girls can be superheroes too. Tell us about your Sheroes of History – submit a profile of a historic woman that has inspired you for the Sheroes blog. If you would like to tell us about your Shero of History please send an email to sheroesofhistory@gmail.com to find out more! I wrote a short piece for The Feminist Times about why I started Sheroes of History, which you can see here. 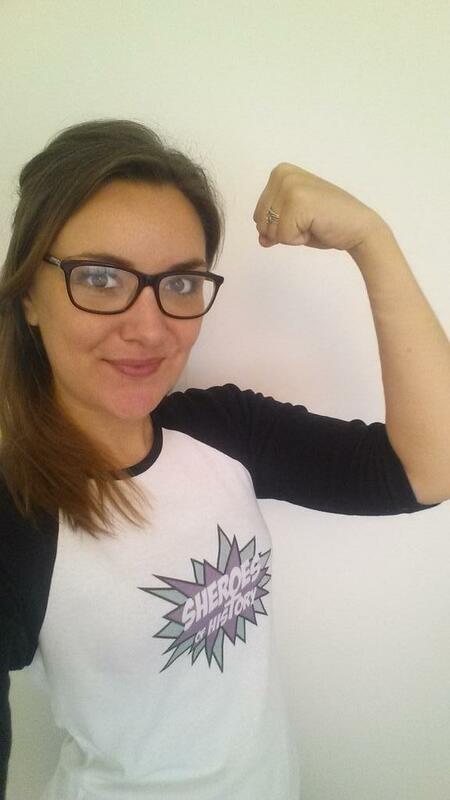 My name is Naomi and I decided to start Sheroes of History because there are so many amazing women of history that no-one has heard of before, whose stories need to be heard! I have seven years experience in museum education and now work in the education charity sector. I hope that through this project girls and women will be inspired by the great things that our sisters who came before us did. As a male I am reacting to your statement, ” I believe that young girls especially need more rolemodels to look up to” , or at least the “especially” part. it is my belief that what will bring about gender equality is when young boys are exposed to the sort of women that you are championing here, and when they realize that amazing women can be role models for them too, not just for girls. Thanks for your comment. I completely agree with you. It was written with the sentiment that much of popular culture, media, and of course history,has many male ‘rolemodels’, whilst there are comparatively few females. Thanks for getting in touch. I am incredibly sorry if I have done anything I shouldn’t have by quoting from your book – this was not my intention and I can only admit to being new to this. I was deeply inspired by Ruth’s story and wanted to share it with the world. I link to iraisemyeyes.com in two places within the blog post, and direct people towards it for further information. I will of course add the attributions in now as well.